Now that Thanksgiving is over and Christmas is on its way, we are in the last quarter to sell your house for the year. This is usually a busy final months, period then it slows down. While there are still properties for sale close to Christmas and the new year, typically there are a lot less buyers out there, and buyers usually want to push closing dates a few months after the holidays. Fewer buyers means less demand, and could leave your house on the market for a while which would put a bad stigma on it, if you do not price your house correctly. Nobody wants to move at Christmas Time, so really that means if you want to sell your house, you must do it now if you are thinking about it. 1. Make sure to rake the leaves and have the lawn and outside of your house tidy. While this is a good tip all year long, at this particular time, the leaves and dirt from bushes and trees will make your house look more dirtier than usual. First Impressions are everything. 2. Bright Lightbulbs: I always get the same response from sellers, are the buyers gonna pay my hydro bill. No, but it could cost you thousands of dollars if they think that the house doesn’t show well. When a buyer walks into your house, you want them to see everything, even in the daytime, so brighten it up and leave the lights on. 3. Take pictures of the lawn: This is a something you must’ve done a few months ago, it might be too late now. Yes its a beautiful sight, to see all the colour change in the leaves and trees, but you want the buyers to see what the outside of the house looks like in the spring and summer peak time. Get some pictures and include it in the brochure and maybe on the listing. 4. Pumpkin and other Scents: There is a fine balance between nice scent when you walk in a house and lysol killing you. Try to get some welcoming scents, at the store, and make sure it is not too strong. 5. 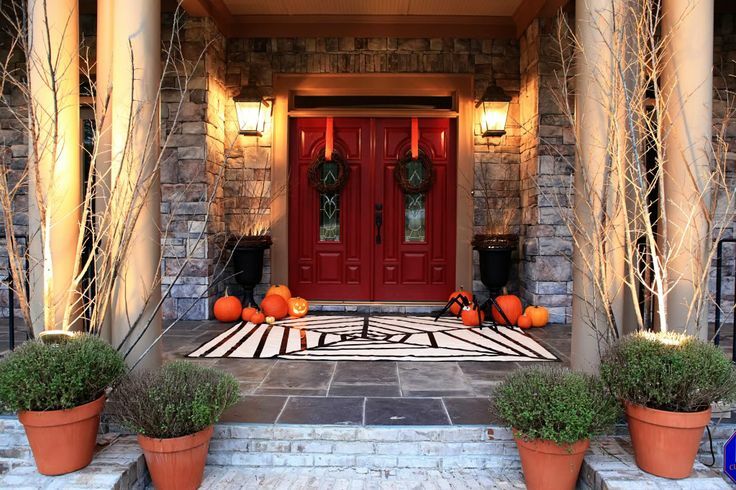 Decorate: Buyers want to see what the house looks like decorated for autumn, or halloween. You want to keep it neat, and show worthy, but decorating the house for the fall, shows that the house is cozy and is a welcoming feeling for buyers. This is the last time of year that will have maximum exposure so get cracking if you are thinking of selling and get your house ready!